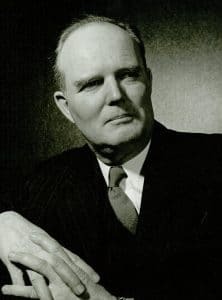 The CAR was formed in 1937, on January 4th and 5th, when Dr. Gordon Richards (1885–1949) invited all radiologists in Canada to a meeting at the Toronto General Hospital. At that meeting, Dr. Richards declined the presidency and it was the unanimous opinion that his founder's role transcended the governance of the CAR. From the outset there was broad representation by regional councilors. By 1938, the object of the association was to promote the interests of radiology with special reference to the following aspects: clinical, educational, ethical and economic. In January 1945, the association contained 148 members and by 1952, the membership had increased to 297 radiologists. In 1948, the national headquarters of the CAR was established in Montreal and the association incorporated. By 1959, there were 516 members in all categories and by 1968, 733 members. From the earliest times, Canadian radiologists have played a role in continental organizations. Dr. G.P. Girdwood (1832–1917) of Montreal, referred to as the father of radiology in Canada, was a founding member of the American Roentgen Ray Society (ARRS) and served as its president in 1902. 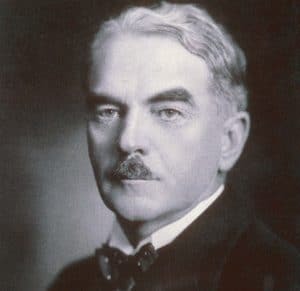 Dr. Girdwood had been in the audience when Professor Owen Cox (1851–1923) showed the first clinical radiograph made in Canada, in Montreal, in February 8, 1896. He was to become the first radiologist at the Montreal General Hospital. By August 1962, the CAR found itself hosting the 10th International Congress of Radiology in Montreal under the presidency of Dr. Arthur Singleton, one of our founders back in 1937. Fifty-five countries were represented at the Congress. Canada had 51 speakers, but radiologists coming from as far afield as Argentina, India, Israel, Japan, Peru, Turkey, USSR and Yugoslavia must have created a truly international sense. At this meeting, the distinguished Canadian radiologist, Dr. Singleton, received the American College of Radiology Gold Medal. The CAR, through its representatives to the International Society of Radiology (ISR), has continued to play a role in world radiological affairs. As the national specialty society for radiology, the CAR is recognized both within and outside the medical profession as the official voice of Canadian radiology. The CAR logo was designed in 1998 by Elaine Emond of Montreal. The C and the R are shown on contrasting backgrounds, corresponding to positive and negative images representing the flexibility and variability now standard in diagnostic imaging. The A is rotated to assume the shape of the eye, emphasizing the visual skills of the radiologist and recalling the ancient Egyptian symbol of healing and protection.